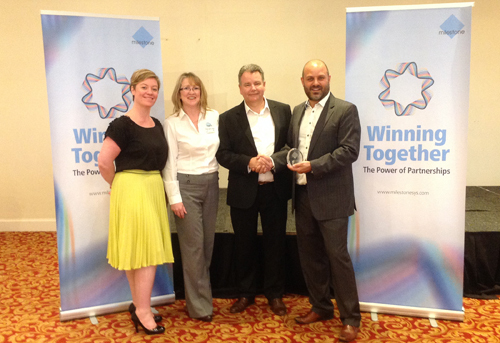 Mayflex has been presented with Milestone Solutions distributor of the year award for 2014. The award was presented to Gary Harmer, Director of Sales Electronic Security at the Milestone MPOP event. Mayflex has been distributing the Milestone XProtect Software Suite and NVR solutions for over five years, via a network of accredited partners. Gary Harmer, Director of Sales, Electronic Security commented: “The Mayflex team have continued to develop relationships with existing customers and at the same time has forged ahead with bringing on new Milestone customers to the business.